We are an independent insurance brokers offering a highly professional service to commercial and domestic clients. - Event Insurance - Celebrations, Weddings, One-off & multi-events, Exhibitions. Fairweather Insurance Services offers a professional service. Fairweather Insurance Services provides custom-tailored solutions. Fairweather Insurance Services gets optimal results from a given situation. Used them for about 25 years - good value, never had a problem, always got excellent service. I have trusted them for many years. That does not mean that I have not been alert to other possibilities but they always win. Win on price, efficiency and service. Informed and tailored service. Have entrusted two categories of insurance over many years. Best customer service I have ever delt with. Respond to any enquiries within minutes and always get things sorted. Would definitely recommend to everyone. I have used the services of this company for many years and wouldn't hesitate in recommending it to anyone requiring insurance services. Trustworthy professional, do what they promise and obtain competitive quotes and recommend reliable suppliers. Ash has been a great advisor assisting my husband and I with our personal household insurance affairs and also more specialist insurance services when we were refurbishing our house. The service that we have received from Fairweather is very professional and we are very happy customers. 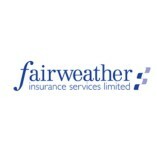 We have used Fairweather Insurance for years, they are competitive, efficient and friendly. We have always been pleased. I have been using Fairweather for a number of years. Through offering a superb service and good rates they now have all our business including cars, property, rent protection, company liability insurance, and the list goes on. Fairweather have organised our house and contents insurance for may years. Premiums have always been competitive and they have been happy to help with insuring specialist musical instruments and bicycles. I am an experienced landlord with a substantial property portfolio and have been a client of Fairweather for many many years. The service that I have received from day 1 has been exceptional and I would have no hesitation in recommending this company to others. Your staff were friendly, professional and had a very good product knowledge. They also explained the balance between price and cover which was very useful. I have been with Fairweather for a number of years now and although my business has grown they have been able to offer excellent products and advice throughout. I am more than happy to recommend them. Great, quick and very professional service. Thank you Hollie for your advice and smooth process.